There are two aspects of blood pressure measurement: the systolic and diastolic pressure. When it comes to blood pressure, children and adults have a normal limit. In case your blood pressure does not fall in the normal limit, you may require treatment for high or low blood pressure. So, is there someone in your family with abnormal blood pressure? Or are you yourself suffering from high or low blood pressure? If you answered yes to any one of those questions then keeping tab on your or your family member’s blood pressure is extremely important. This is the only way of ensuring that you or your family members stay fit. 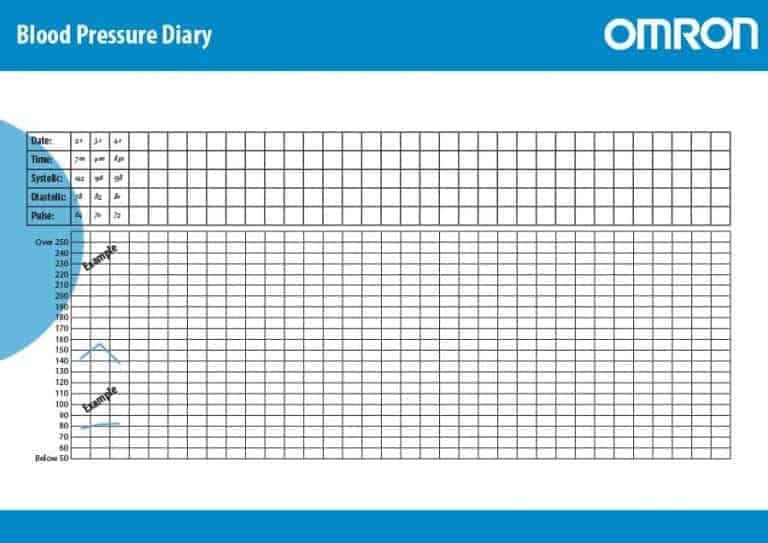 When it comes to keeping a tab on blood pressure, one of the best ways to perform this action is using a blood pressure log. 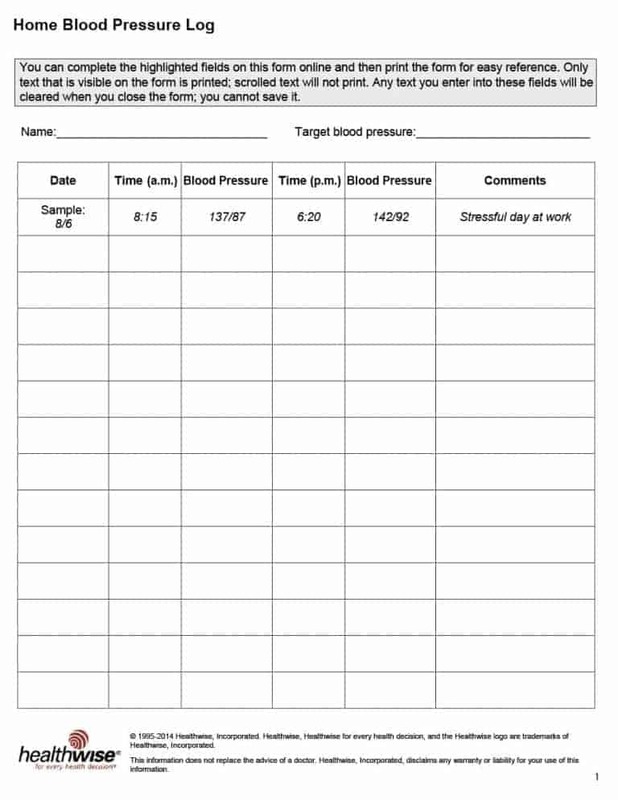 What is a blood pressure log and what does it help to do? 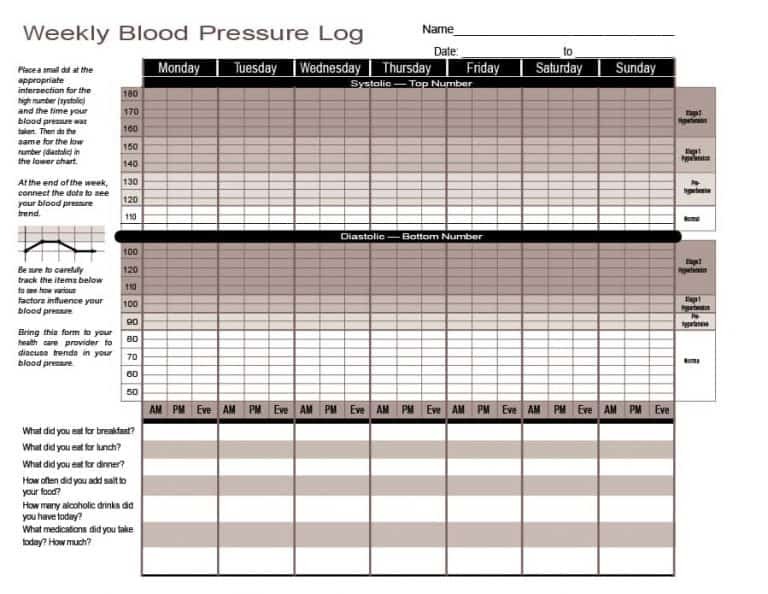 One of the easiest ways to keep track of your blood pressure, a blood pressure log is used every time you measure your blood pressure. 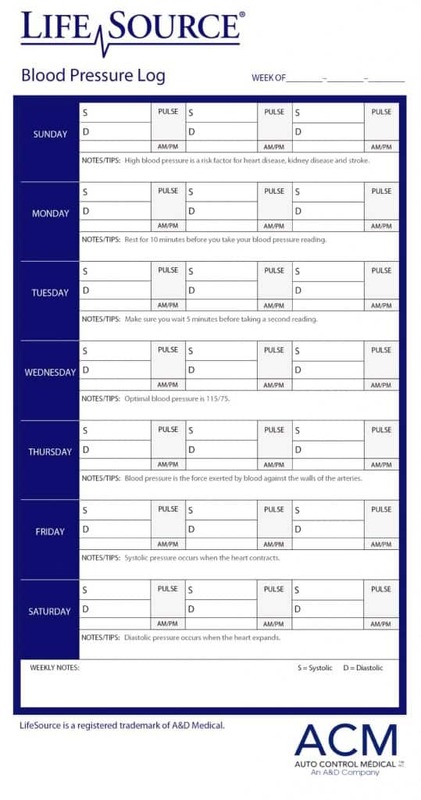 Provided you keep it updated, you or your doctor can use the blood pressure log to diagnose your health after fixed intervals of time. 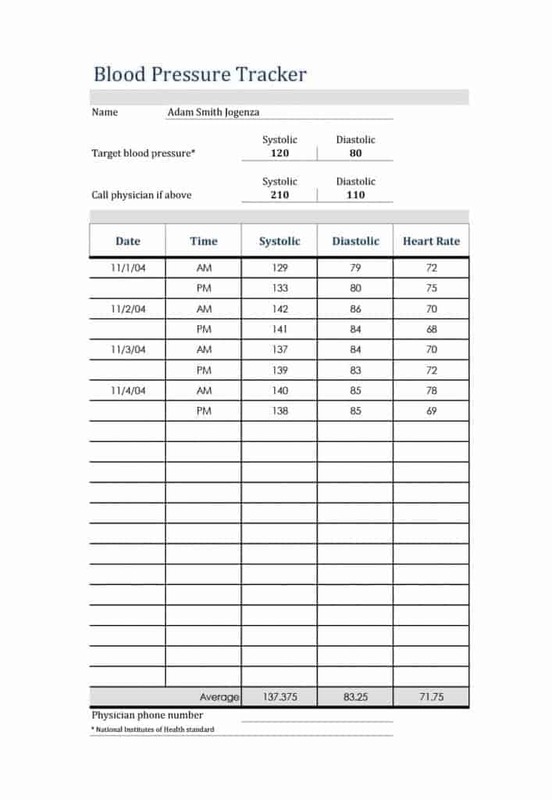 For this reason alone, using a printable blood pressure log is crucial. 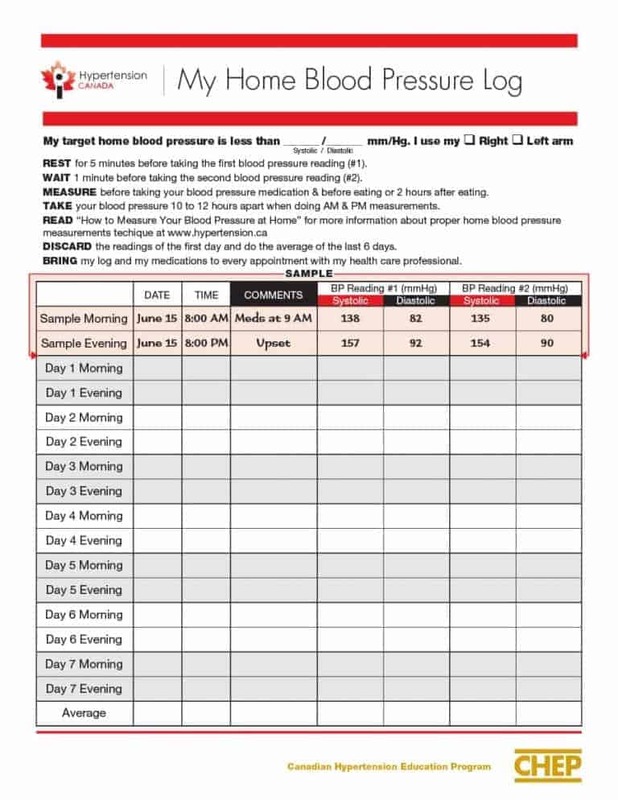 You may or may not know this but there are a few different types of blood pressure log with each serving a different purpose. 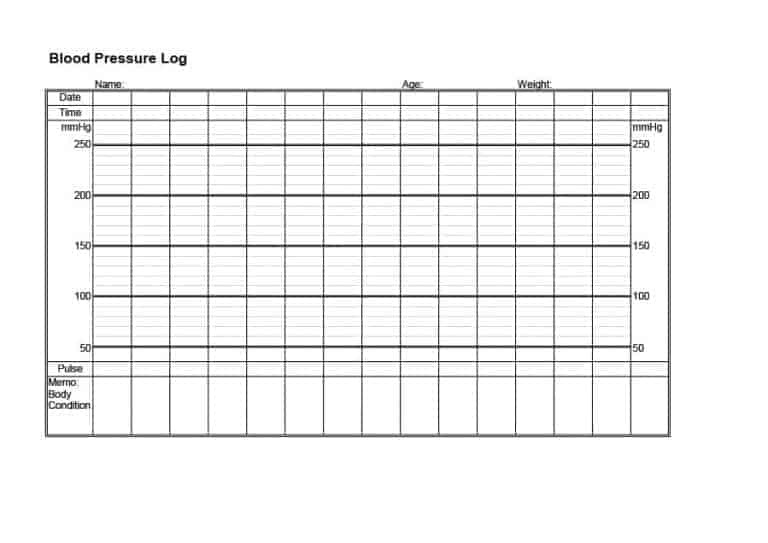 Following are a few of the blood pressure log types. 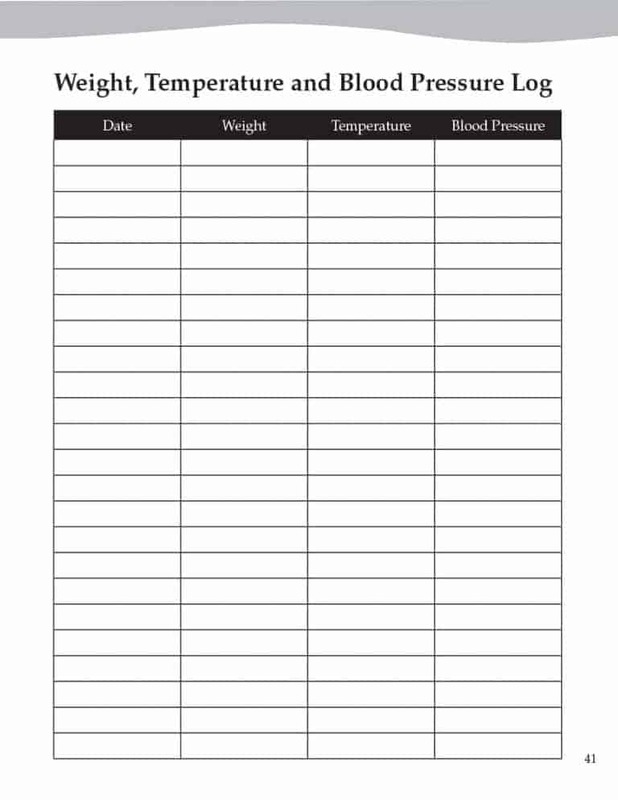 A type of blood pressure log sheet, blood pressure chart contains separate columns for your blood pressure. 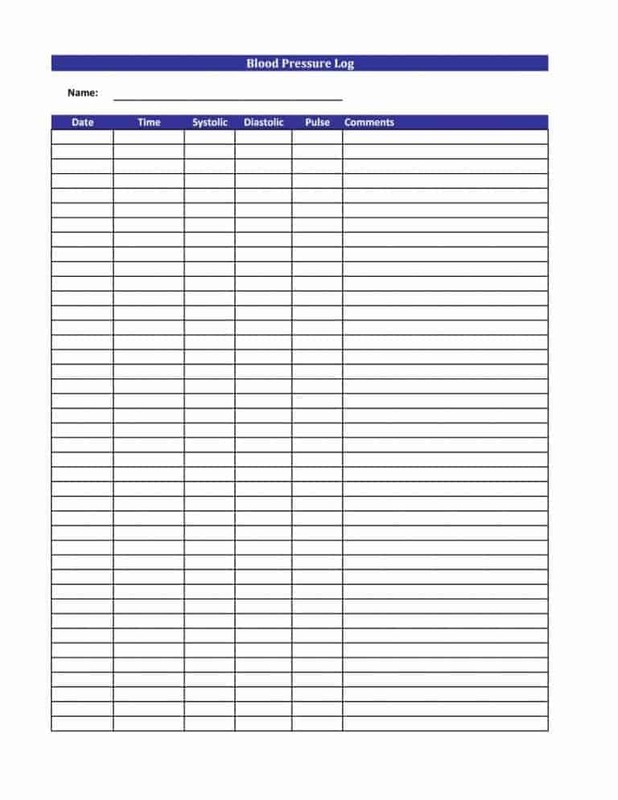 Additionally, the chart features a number of spaces where you can list down symptoms with details in case you’ve been feeling unwell lately. 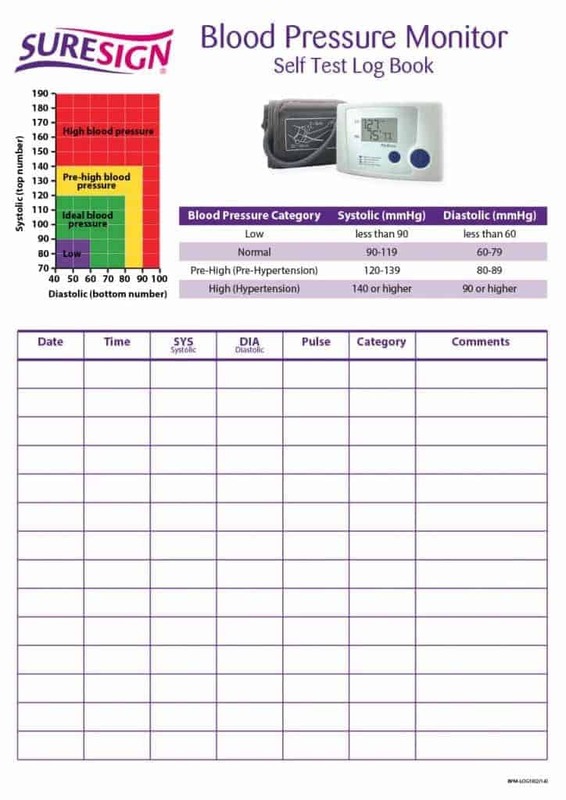 You can take a look at blood pressure chart template to find out more about it. 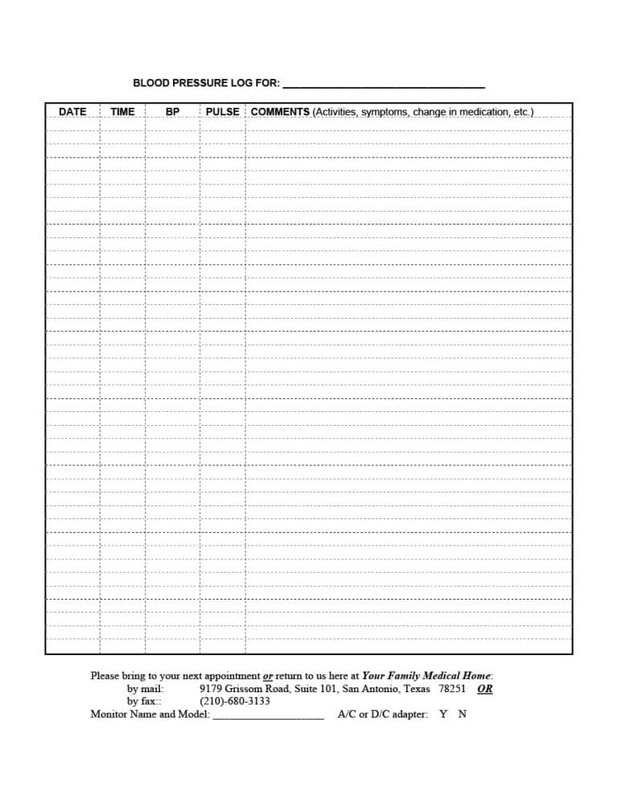 Talking about templates, you can find a number of medical form templates online including a medical release form template. 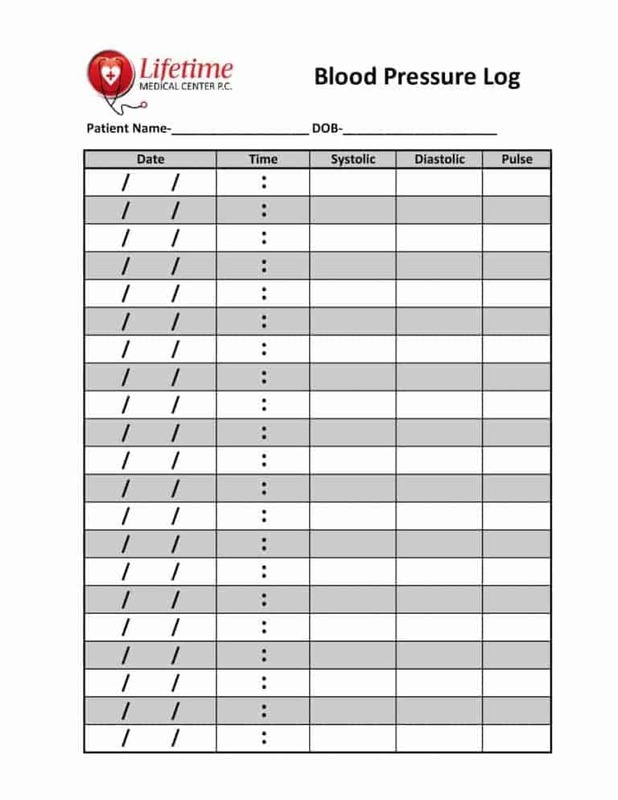 We now move onto the second type of blood pressure log on our list. 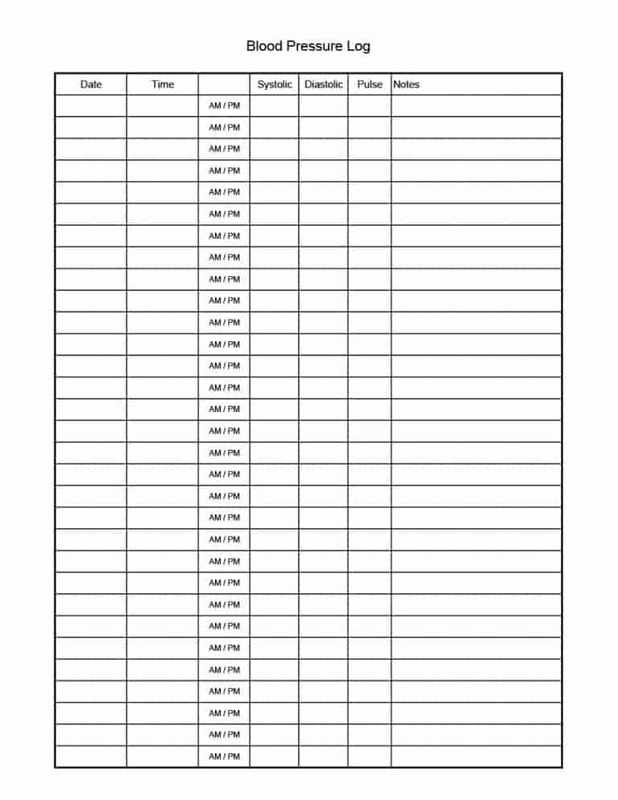 The second type of printable blood pressure log on our list is the blood pressure medication log. You’ll need medication to keep your blood pressure under control regardless of whether you’re suffering or high or low blood pressure. 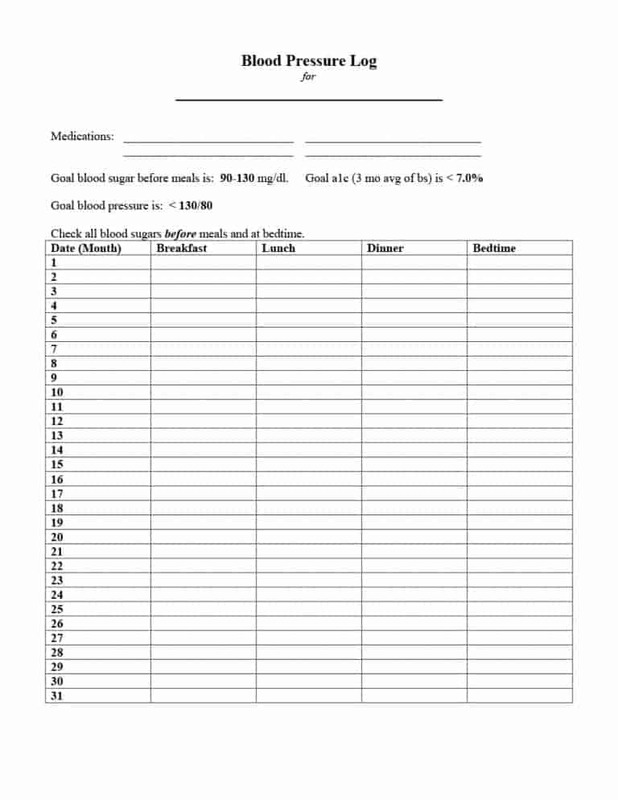 The blood pressure medication log contains a section where you can list down the medication(s) you require to keep your blood pressure under control. By listing down the medications, you’ll remind yourself of the specialized medications you need for your blood pressure. 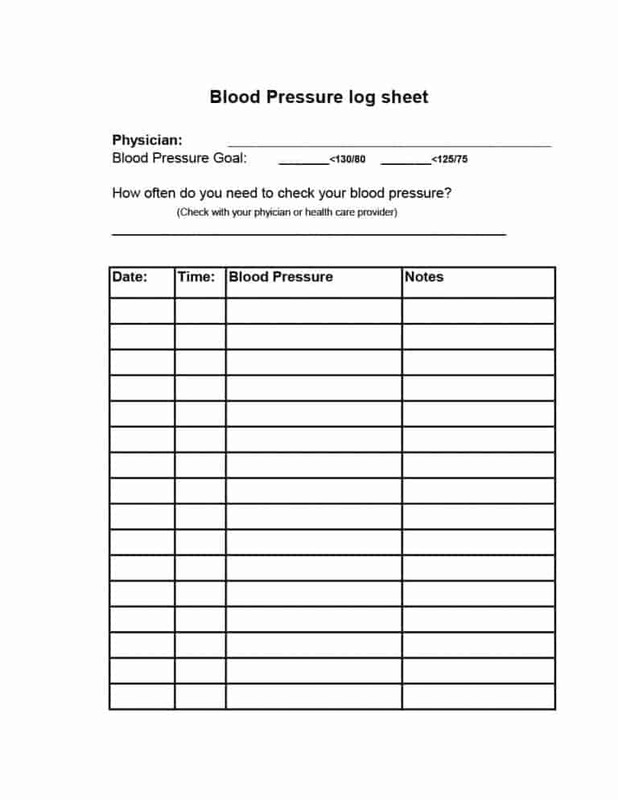 The final blood pressure log sheet on our list is the customizable blood pressure log. 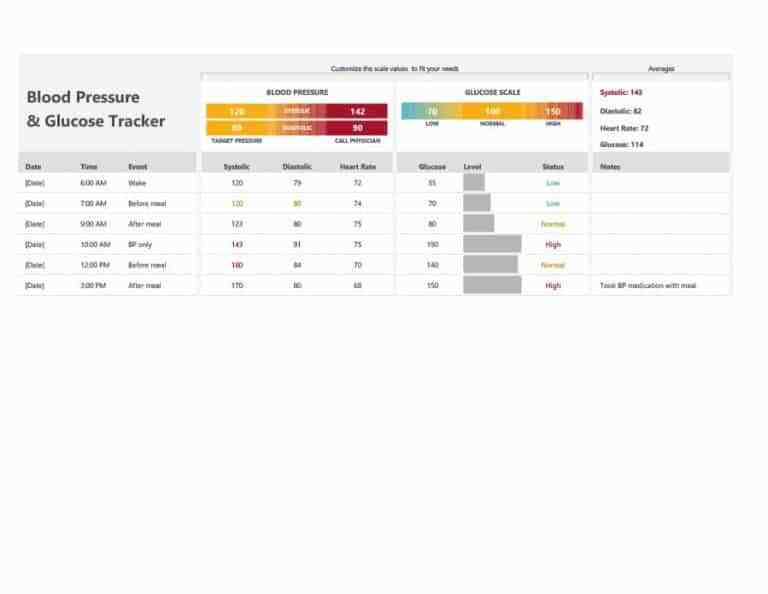 If you’re serious about keeping track of your blood pressure then using a customizable blood pressure log would be a sensible thing to do. 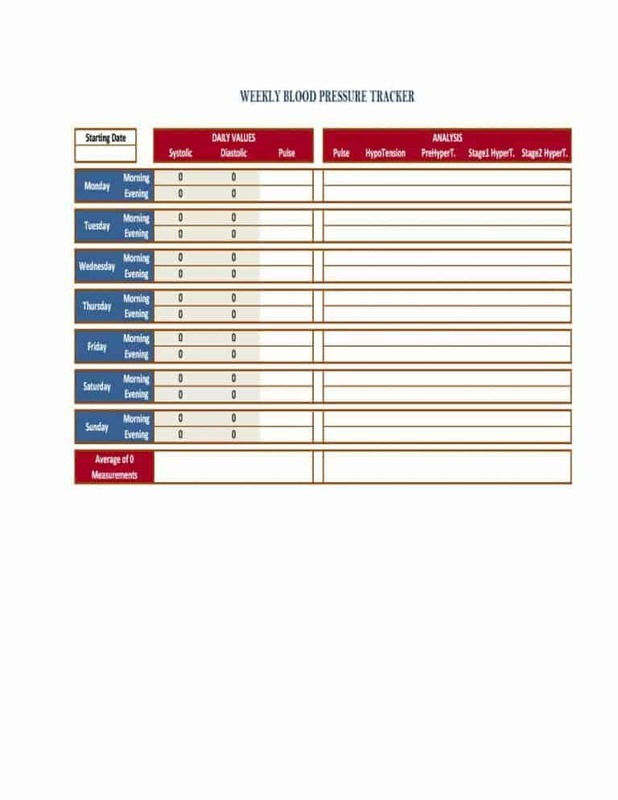 With this type of blood pressure log, you can customize the blood pressure log according to your needs and preferences. 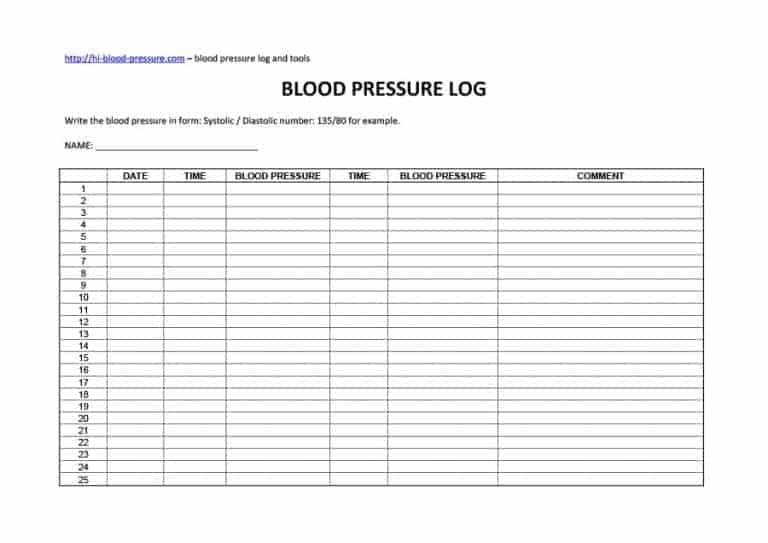 The aforementioned logs are just three of the many different types of blood pressure logs. 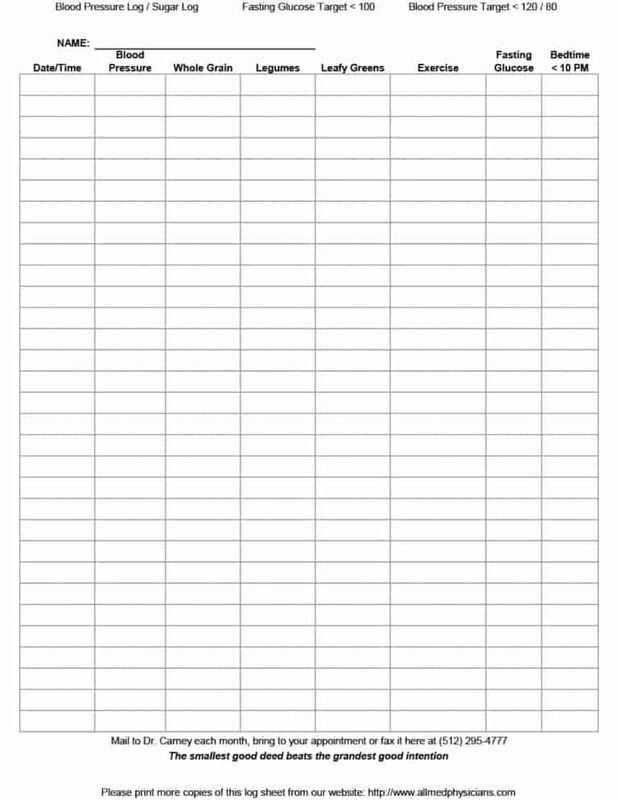 However, these logs are the most used ones so listing them down rather than the others makes sense. 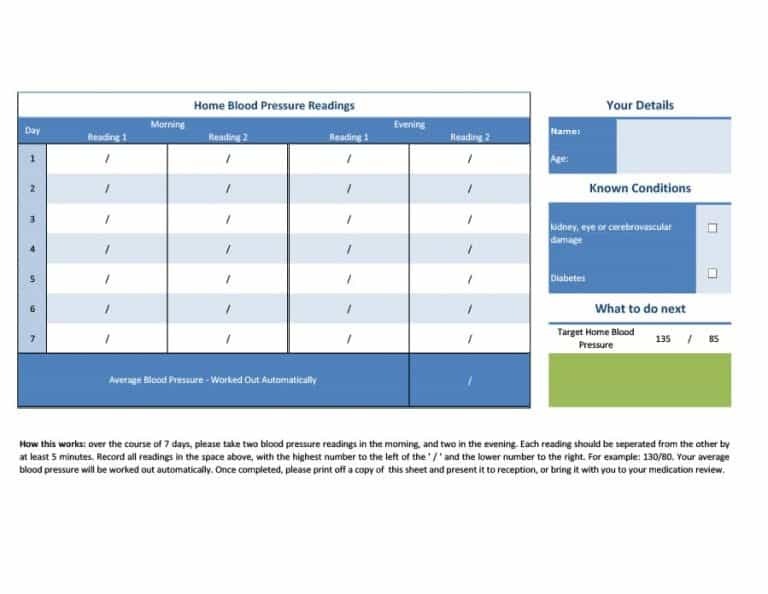 There are plenty of benefits of using a blood pressure log whether you use a blood pressure chart, a blood pressure medication log, or a customizable blood pressure log. 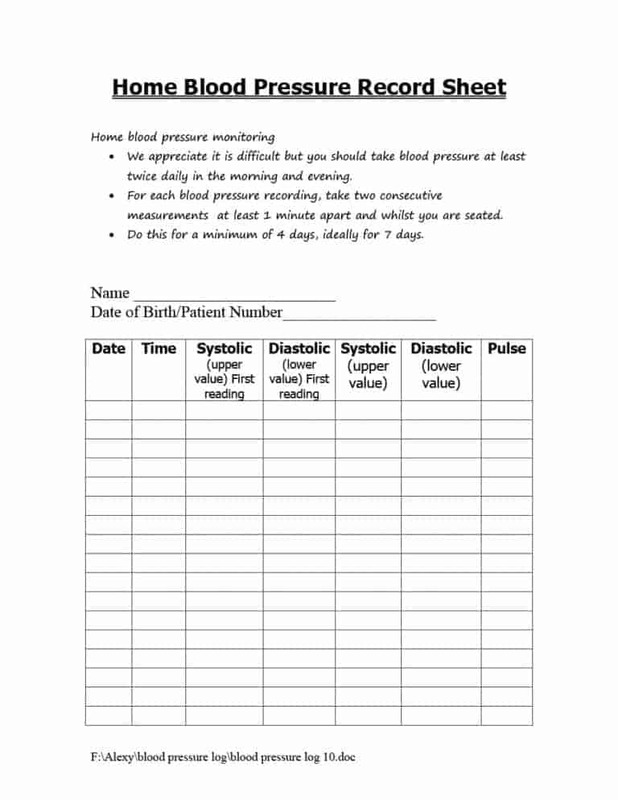 Following are some of the most basic benefits offered by a blood pressure log sheet. 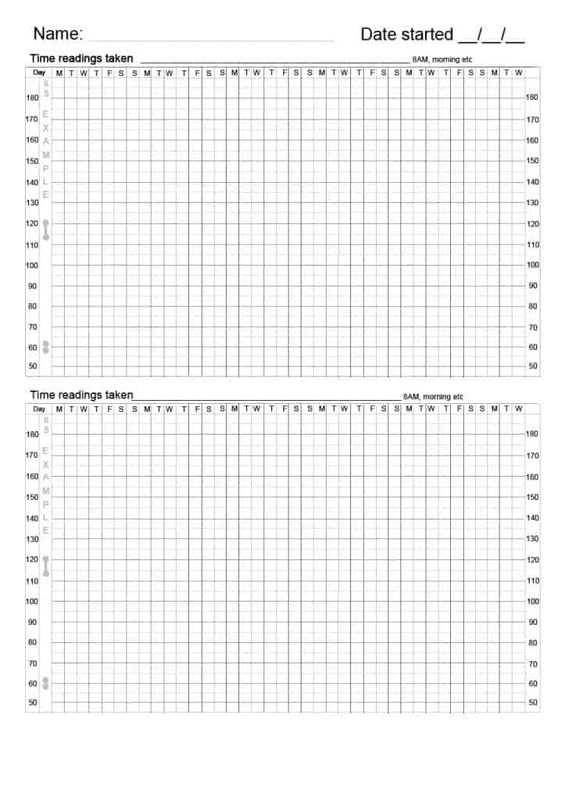 Unless you’re someone who memorizes an entire book such as a telephone directory, you need to maintain a blood pressure log. If you don’t do that, you will easily forget the blood pressure measurements that you took. Generally, a person will take several blood pressure readings over time. So, by the time the person takes the second, third or fourth reading, he/she would have forgotten the first one. 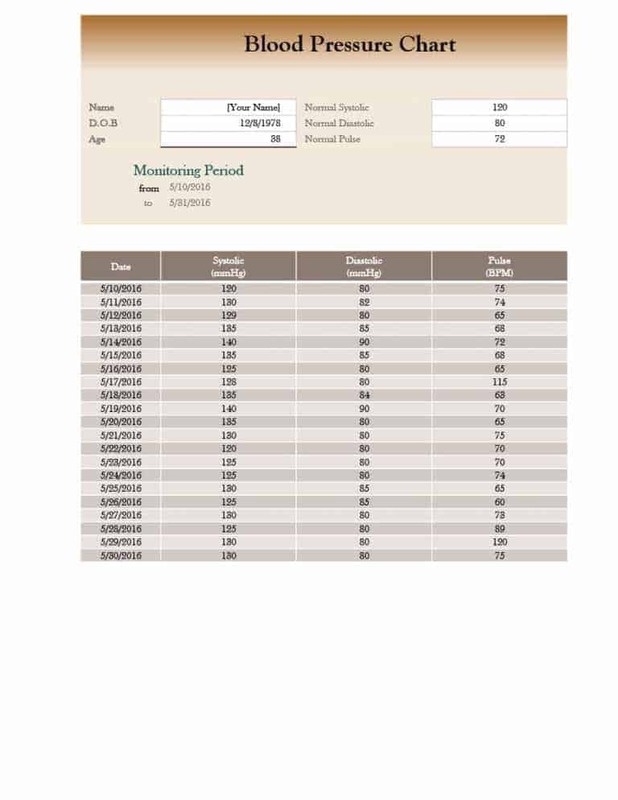 For this reason, writing down each and every blood pressure reading is important and the best way to do that is using a blood pressure log. 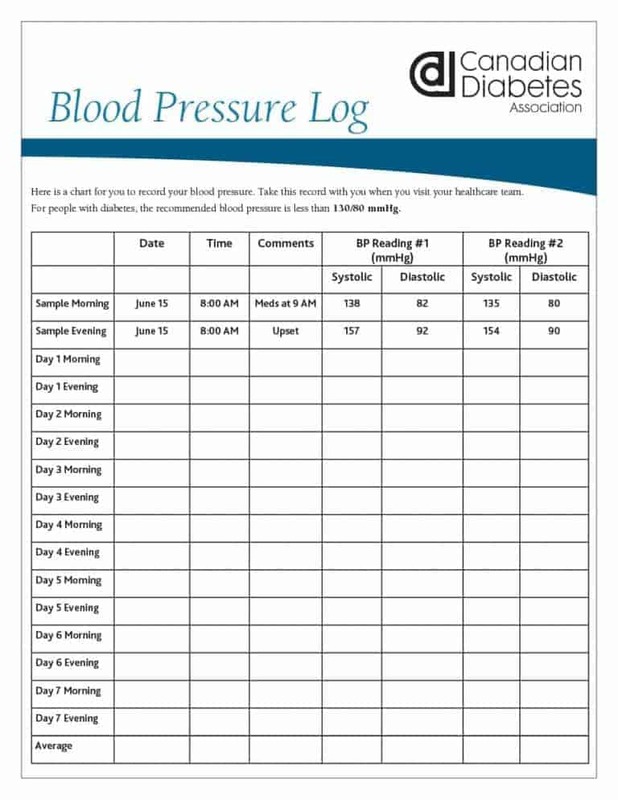 Now that you know why maintaining a printable blood pressure log is important, it’s time to take a look at what the different blood pressure numbers mean. 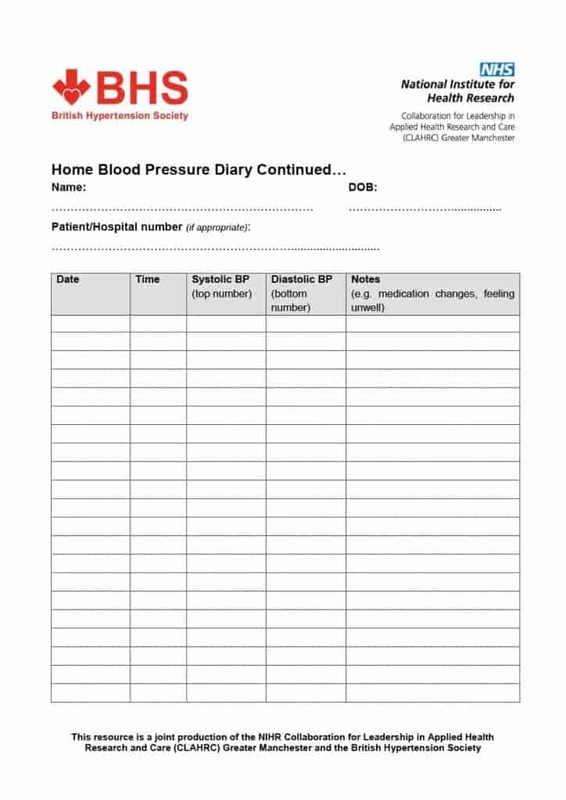 Creating and maintaining a blood pressure log is easy. 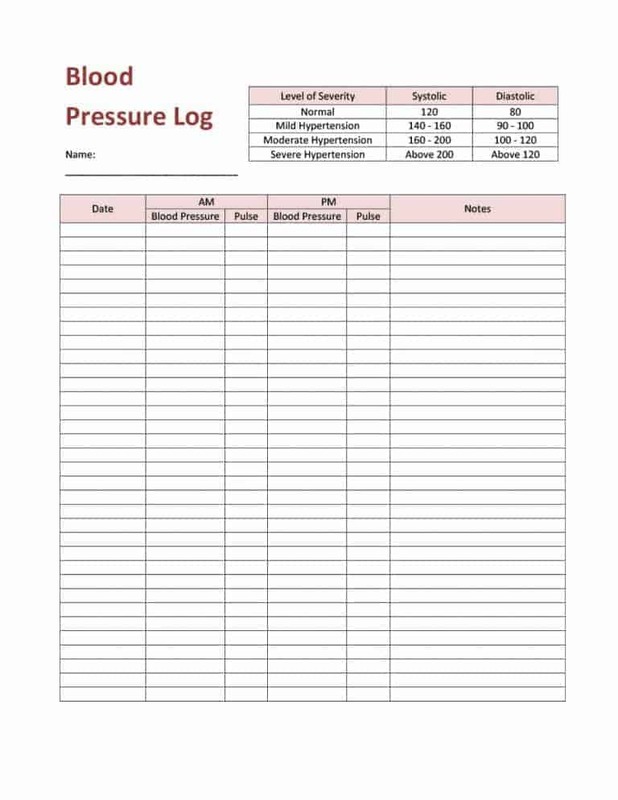 By simply taking a look at a blood pressure log template, you will able to find out what’s included in a blood pressure log sheet and how you can use it for blood pressure measurements. 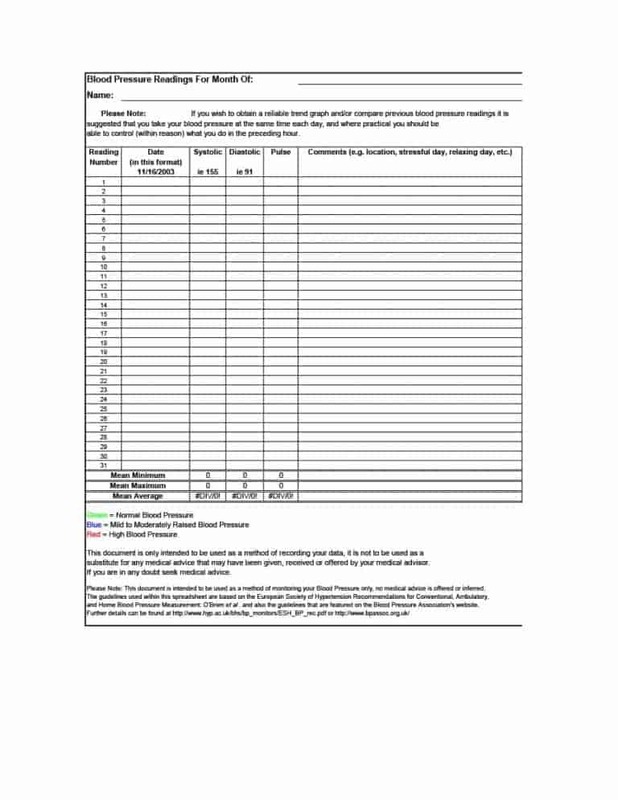 In addition to the pressure log template, you can find many medical form templates including treatment plan samples and return to work template online. Coming back to systolic and diastolic blood pressure, it is important for you to keep in mind that the systolic blood pressure reading is always taken and noted down before the diastolic blood pressure reading. This is a rule that you must keep in mind whenever you’re about to take blood pressure measurements or update the blood pressure log sheet. 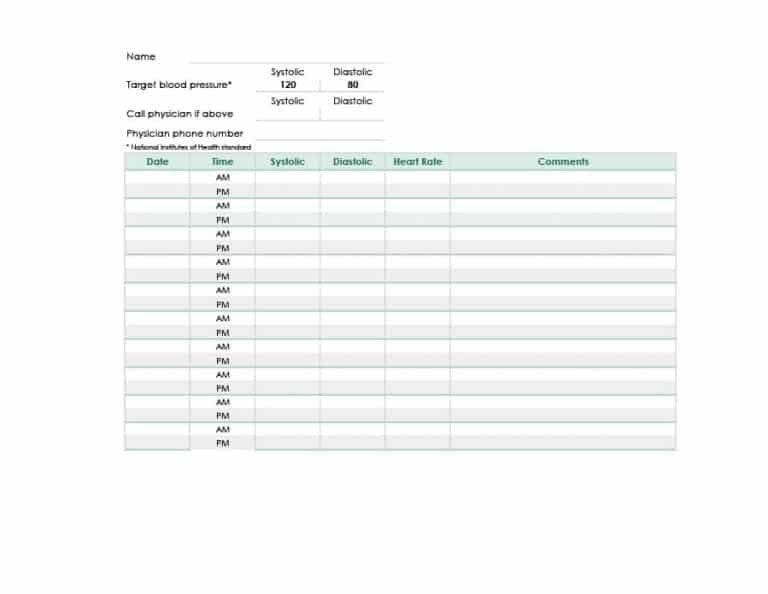 To wrap things up in this section, following is a summary of why maintaining a blood pressure log is important. 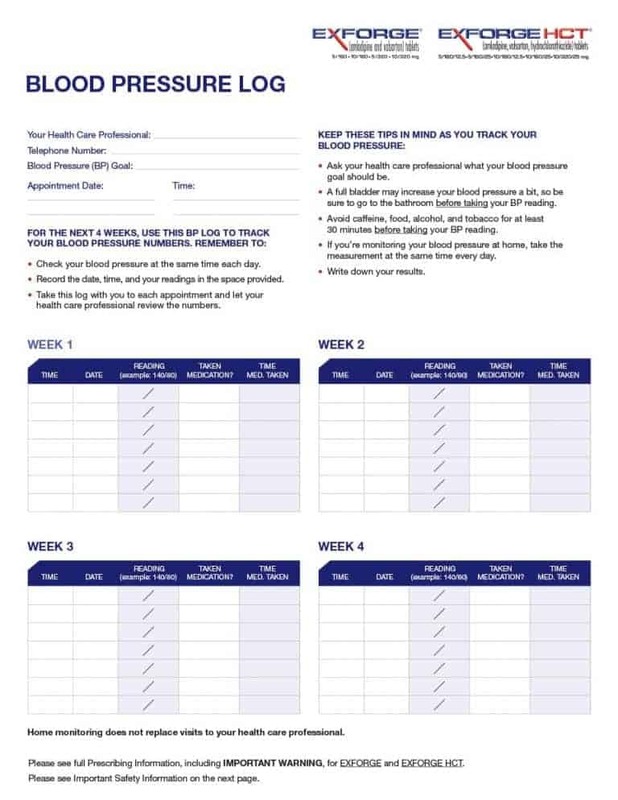 As seen above, there are many benefits of using and maintaining a blood pressure log and the good thing is that you can easily find and use a free of cost printable blood pressure log online. 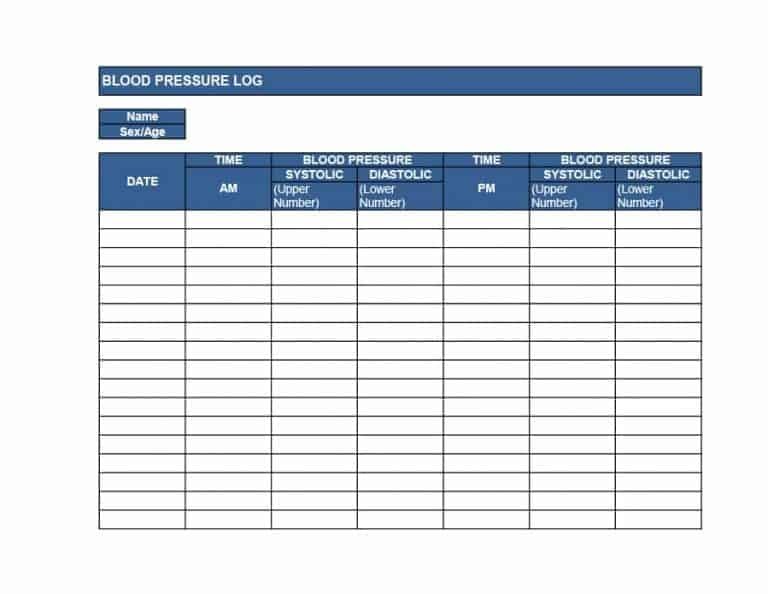 Using this log, you can keep track of your blood pressure and ensure that you stay fit. By doing the above, you’ll increase your chances of keeping your blood pressure within the normal range. Keeping your blood pressure under control is important and you can do that by keeping the aforementioned information in mind. By now, you have a good understanding of what a blood pressure log refers to, what it’s used for and why maintaining it is important. 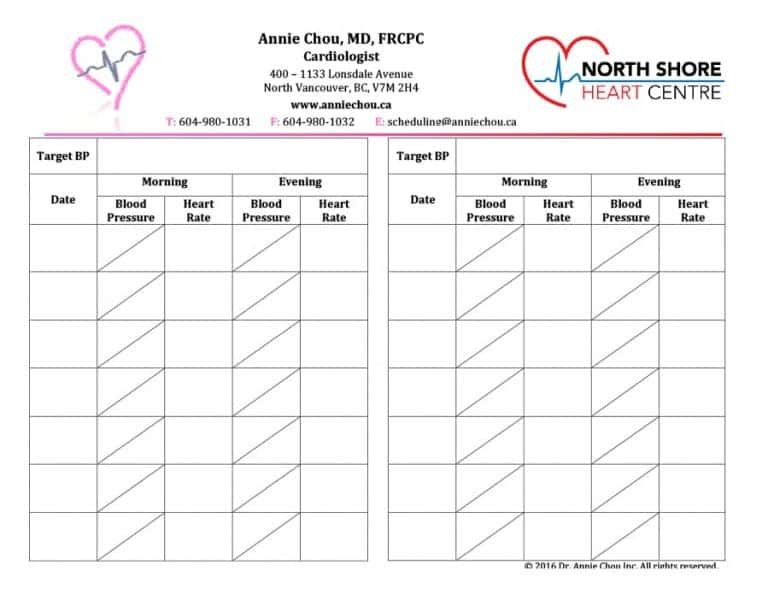 With that taken care of, it’s time to move on the basic things or key elements included in a blood pressure log. 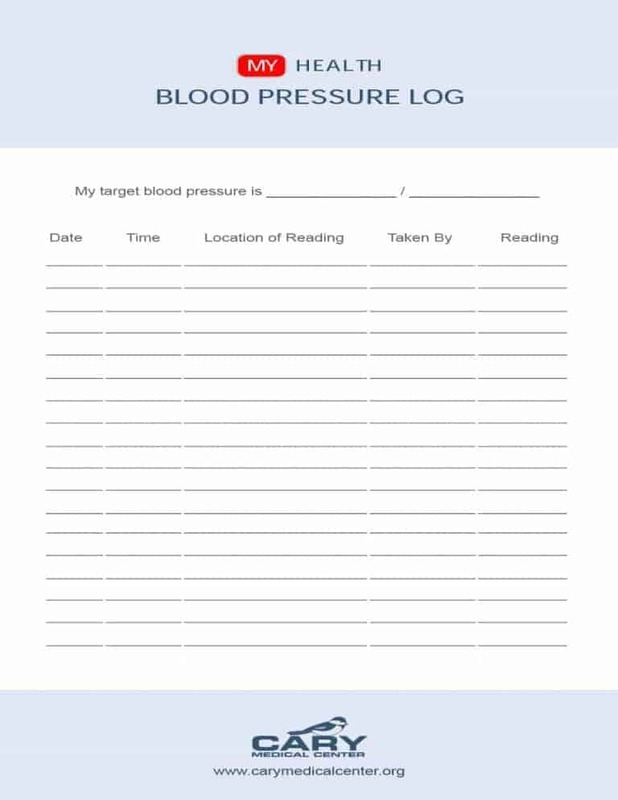 Following are some of things that you’ll find in all types of blood pressure log. 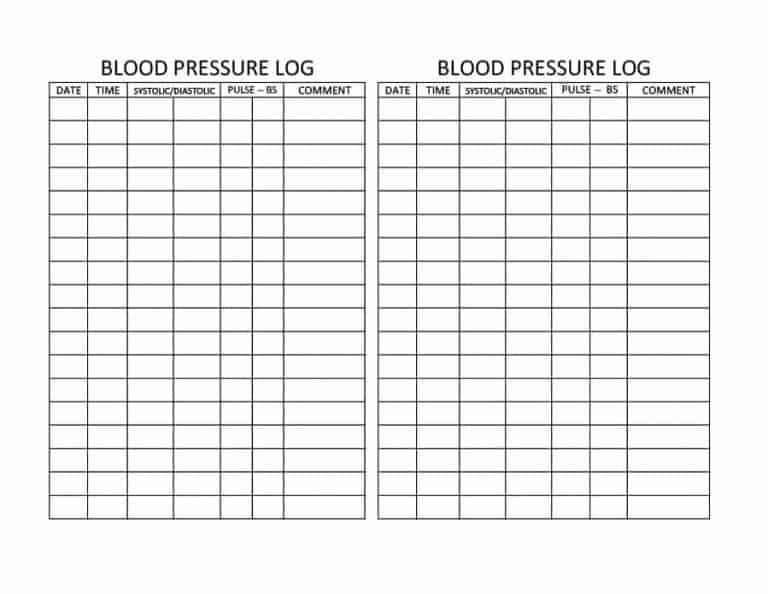 There you have it—the key elements of a blood pressure log. 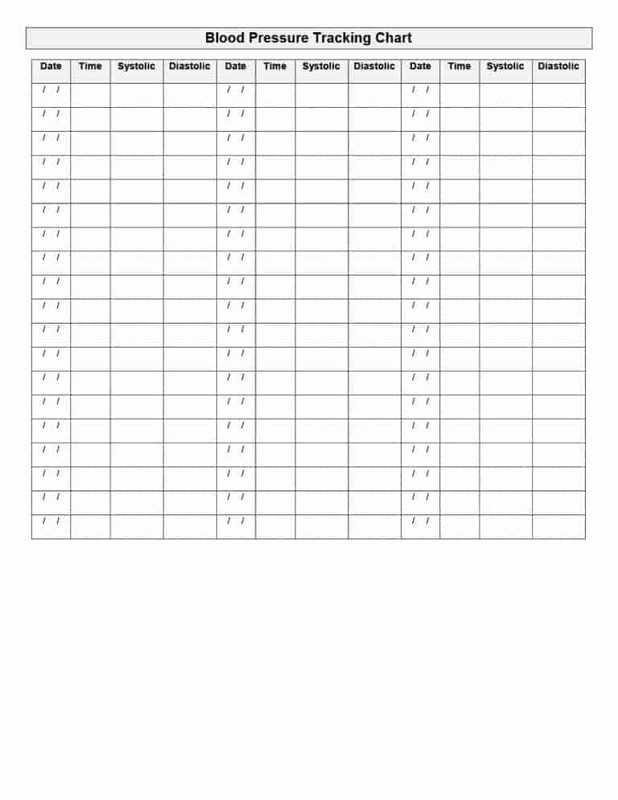 The aforementioned elements are part of every blood pressure log sheet. 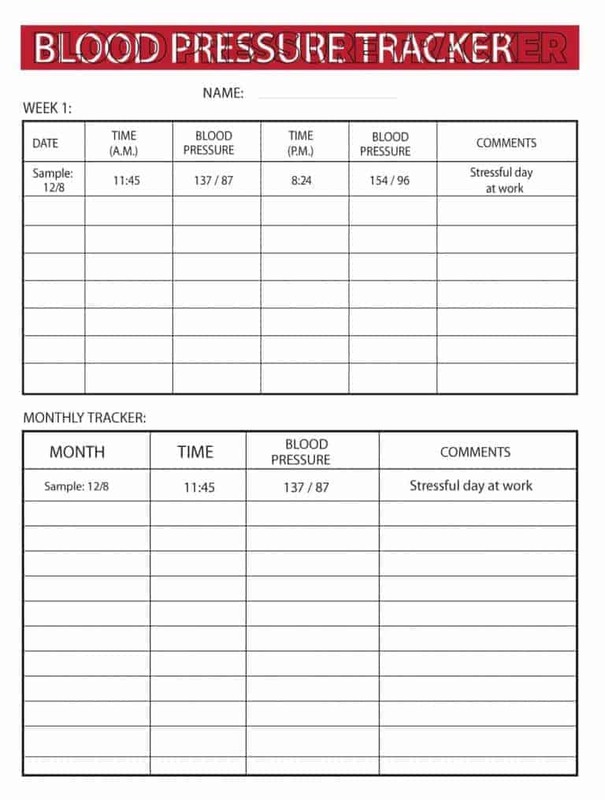 To find out what else is included in the log, take a look at a blood pressure log template. 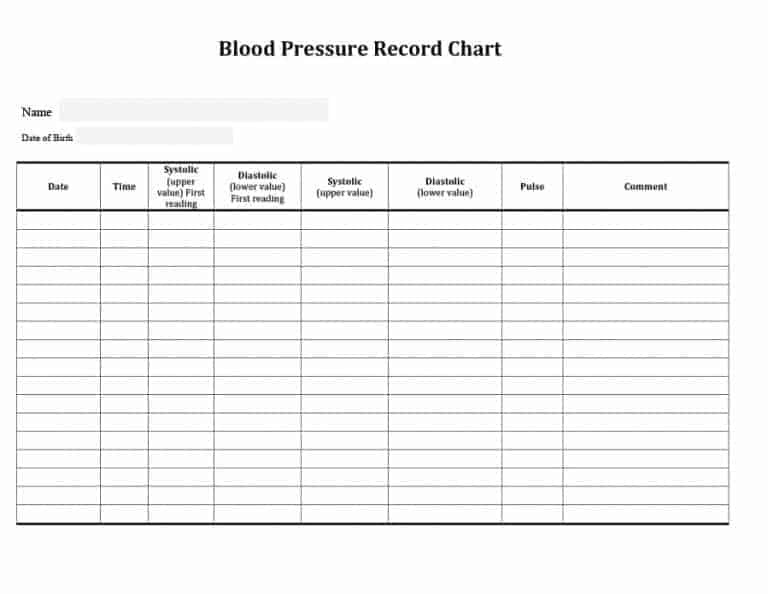 Often, the elements of a blood pressure log are listed in a excel sheet. 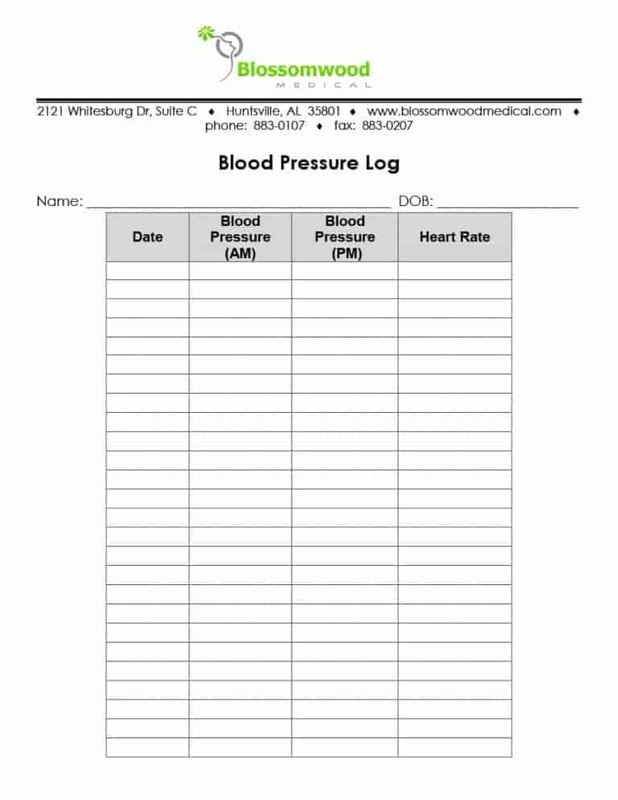 The blood pressure log excel is one of the best ways to keep track of and monitor your blood pressure. 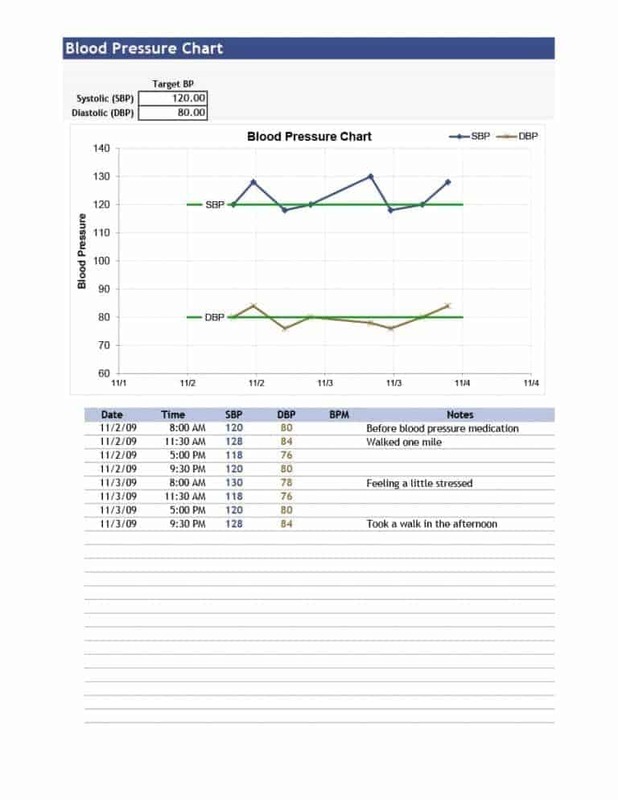 Using the blood pressure log excel, you can note down the blood measurements with their time, date, and pulse. 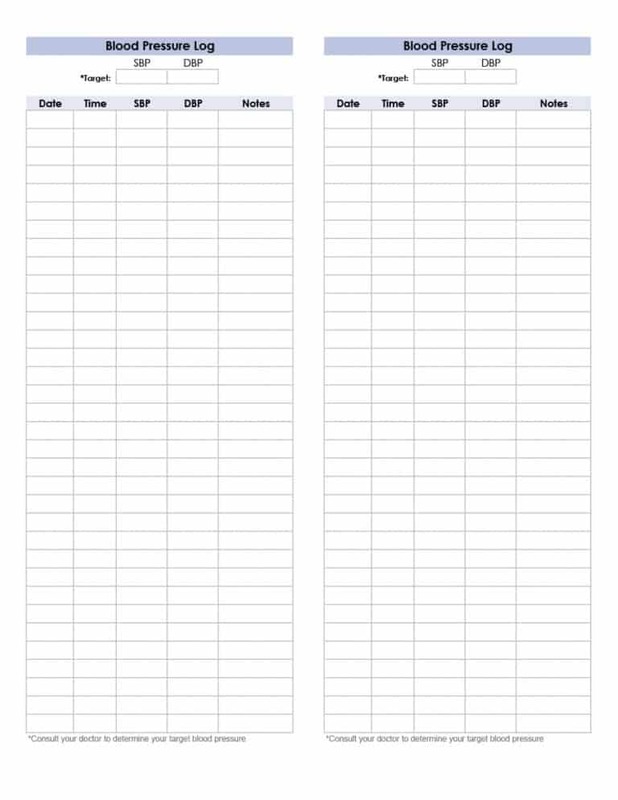 By keeping the aforementioned tips in mind, you can ensure the optimal use of the blood pressure log sheet and get maximum benefit from it. If you care about your health then you must keep your blood pressure under control. 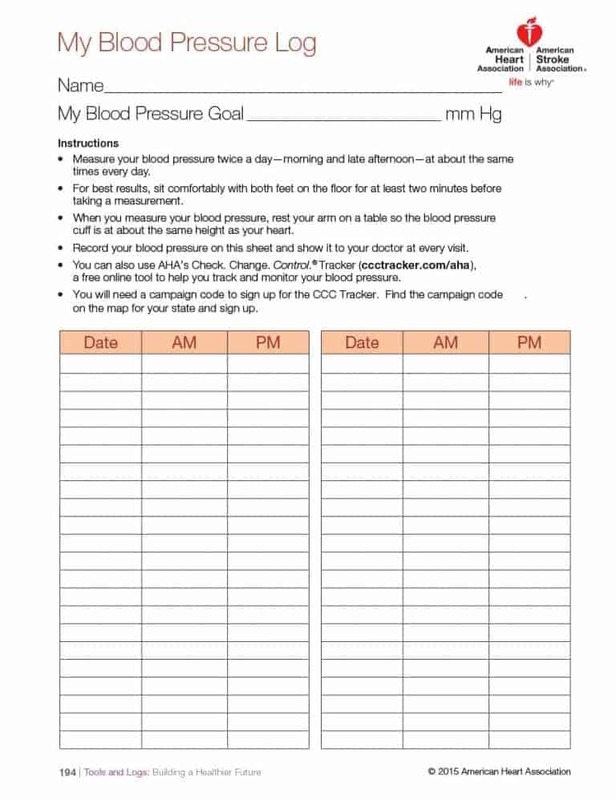 A good way to do that is keeping track of and constantly monitoring your blood pressure. 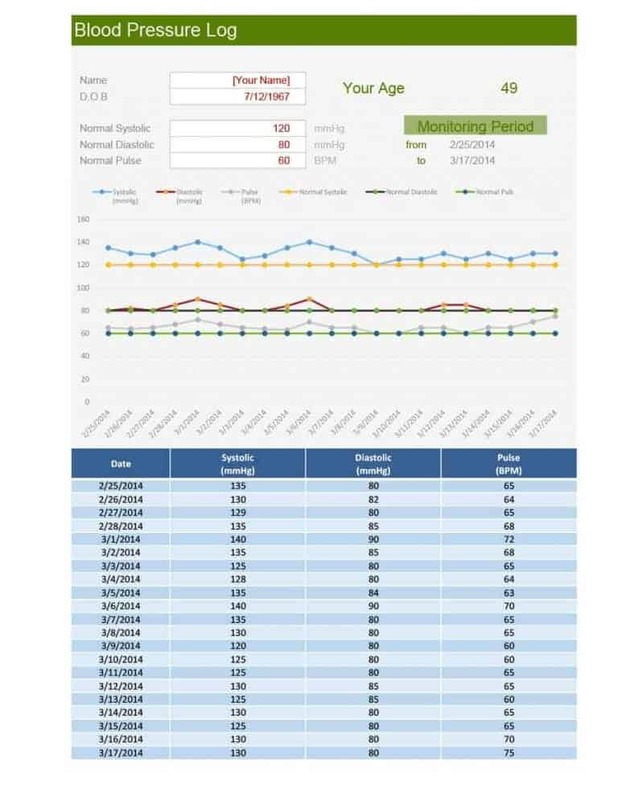 When it comes to keeping track of and constantly monitoring your blood pressure, there’s nothing better than a blood pressure log. 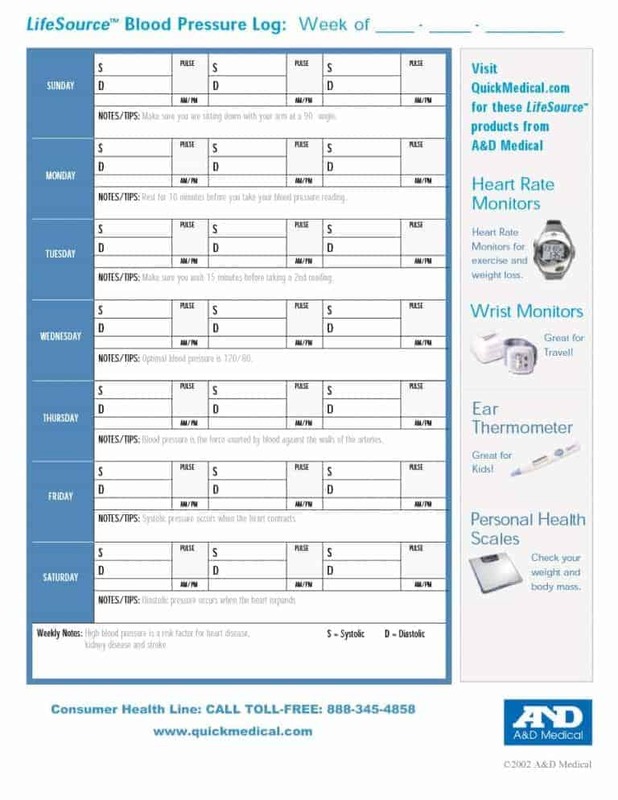 Easily available, a blood pressure log allows you list down your blood pressure measurement along with other important related information. 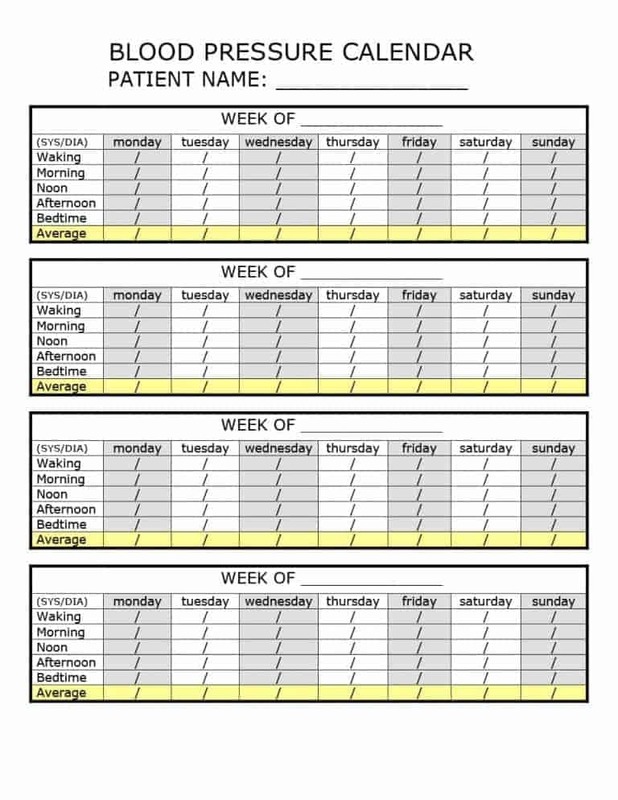 By doing this, you’re able to keep track of your blood pressure which in turns allows you to keep your health in check. 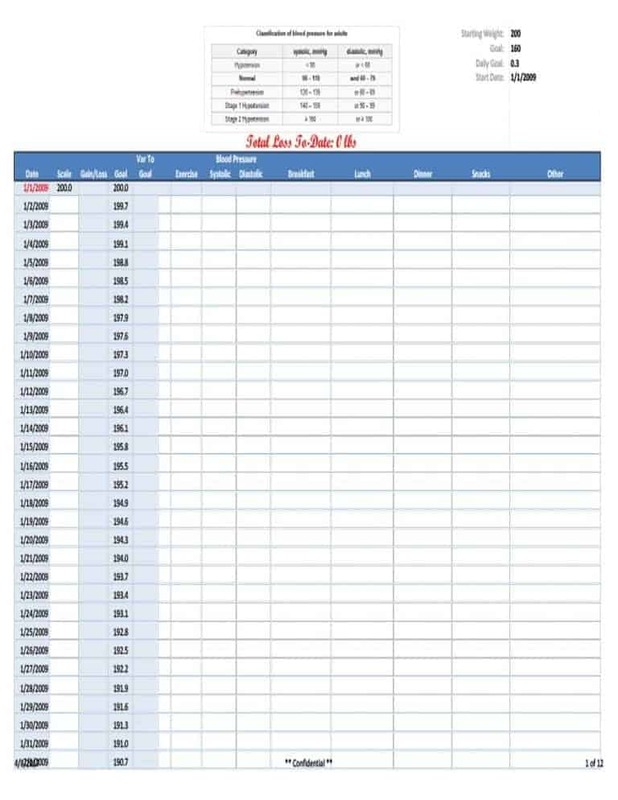 Today, getting access to blood pressure logs is not difficult as you easily find free of cost printable blood pressure log online.